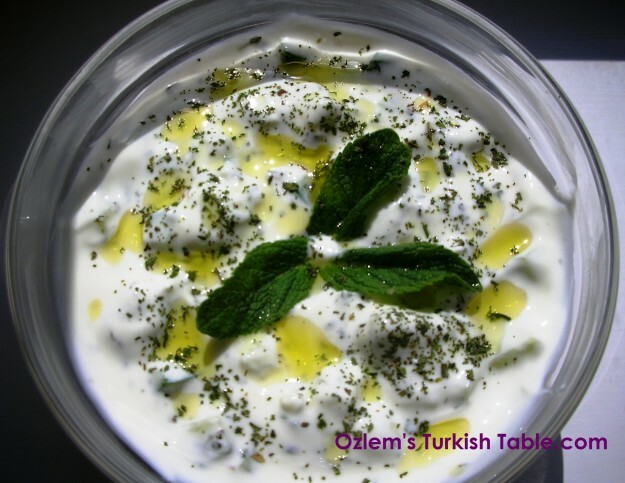 Özlem, Well, I think you’ve introduced me to a different food. Although I’ve never had firik, my instincts tell me that this recipe is a winner. I’ll definitely try it. On another note, we had a visitor from America last week who went with me to a local yemek salonu and we had kemalpaşa tatlısı. 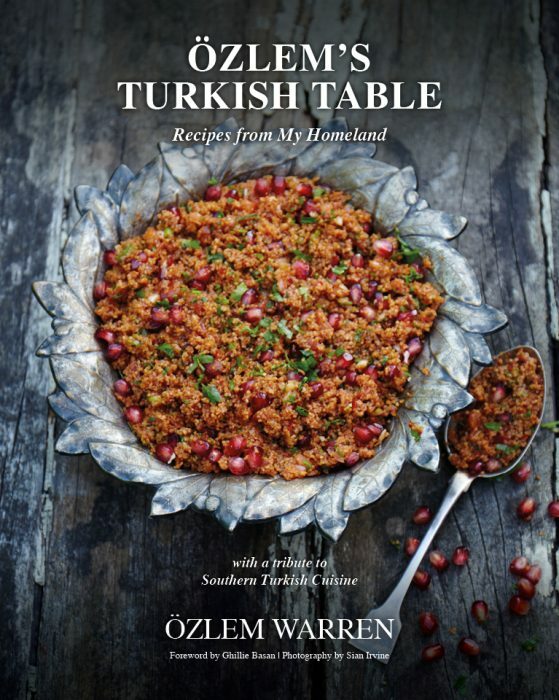 She wanted a recipe (which I didn’t have) so I googled it and came up with – you guessed it – Özlem’s Turkish Table with a link to the recipe! 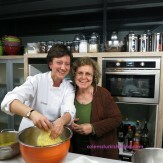 So now she’s happy with the recipe link and you have won another fan. 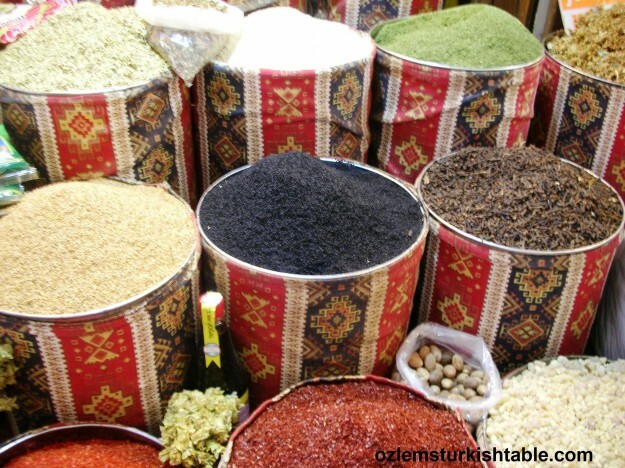 I’ve been looking for firik in Bodrum for about 3 months now – no luck so far. That’s a shame, looks like firik is everywhere in Istanbul. 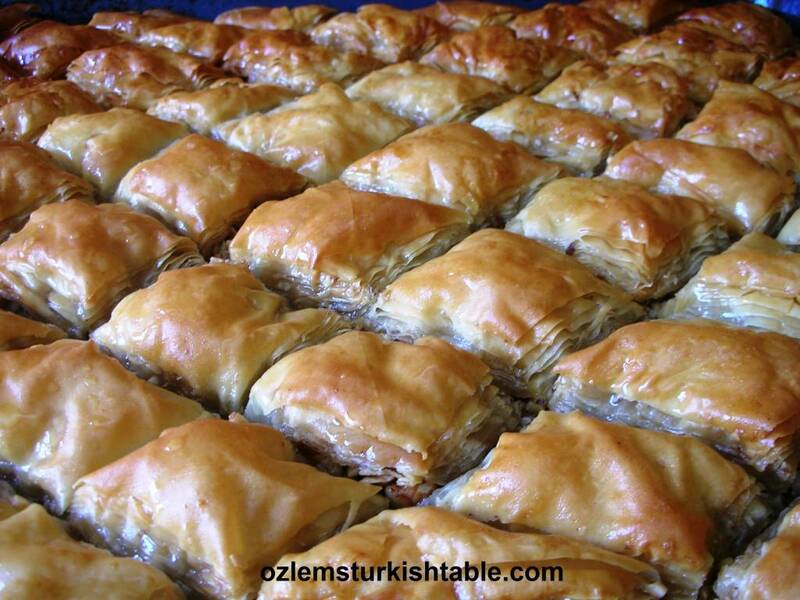 If you happen to travel towards Adana, Antakya, make sure to stock up, it keeps in fridge or cool place for months. 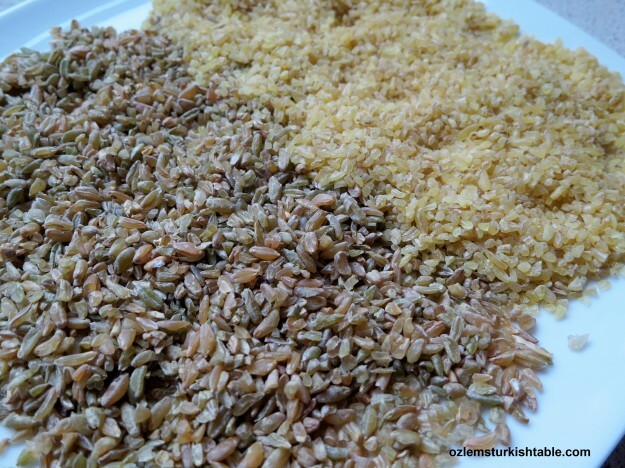 What a wonderfully wholesome grain, Ozlem, I must look out for Farik and try it out. 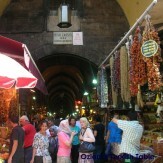 Love the picture of Long Market with the barrels filled with healthy grains:) XxPeri. 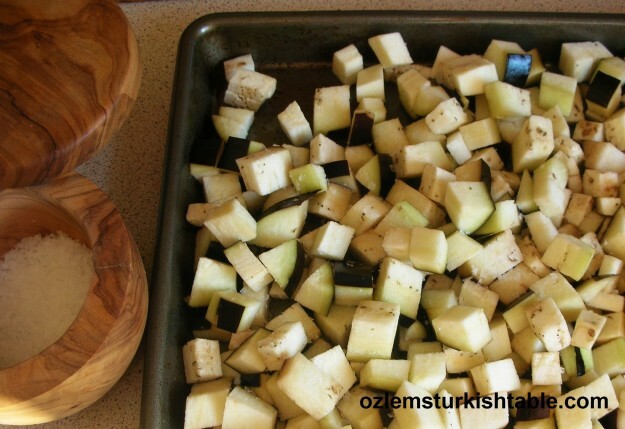 This is such a great idea, I can’t wait to try the combination of eggplants with freek! Out of curiosity, why not use all freek instead of also burghul? Is the taste considered too strong? In arab cooking, it seems freek is usually used by itself, so I never tried combining them. Also, do you use certain cuts of meat to have such a short cooking time? Or is it meant to be a little chewy? In Egypt, I find that I have to cook the meat at least that long in a pressure cooker for it to be soft (20 minutes at pressure is more than an hour of normal cooking! 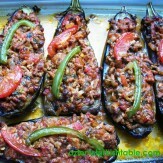 ), so maybe I have to cook the meat for some time alone at first before combining it with the eggplants and freek. 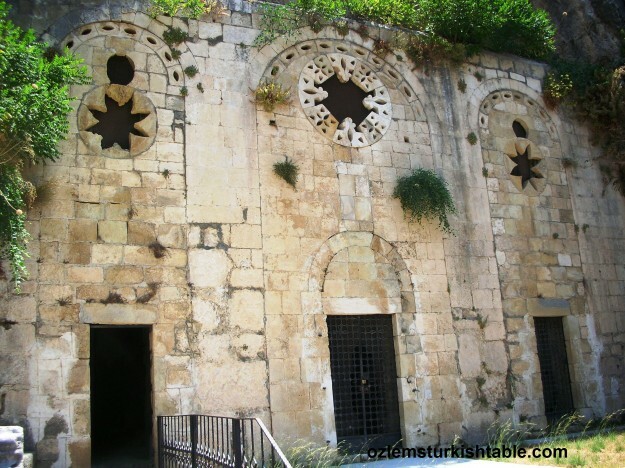 Merhaba Asma, many thanks for stopping by. That’s right, we mix freek with bulgur as it has quite a strong taste, I’d be interested in hearing how you make it though. Any kind of meat is good to use here, bear in mind that they are quite small bite size chunks, so in total about 30 mins cooking (with sauteeing beforehand) is really ample. Hope you enjoy it! 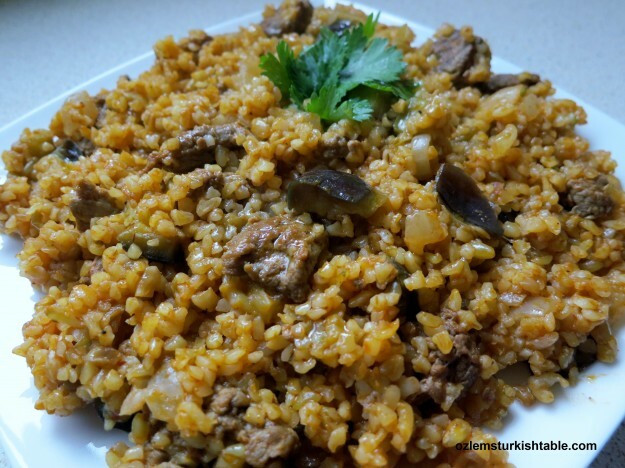 I love Turkish food!! 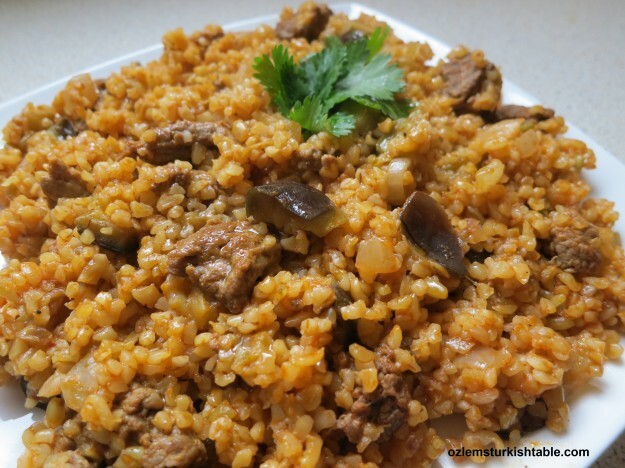 I’m going to cook bulgur with eggplant and meat tomorrow and quickly checked the web for a recipe. I came upon your website and am hungry just reading the recipes. Can’t wait to try it tomorrow.